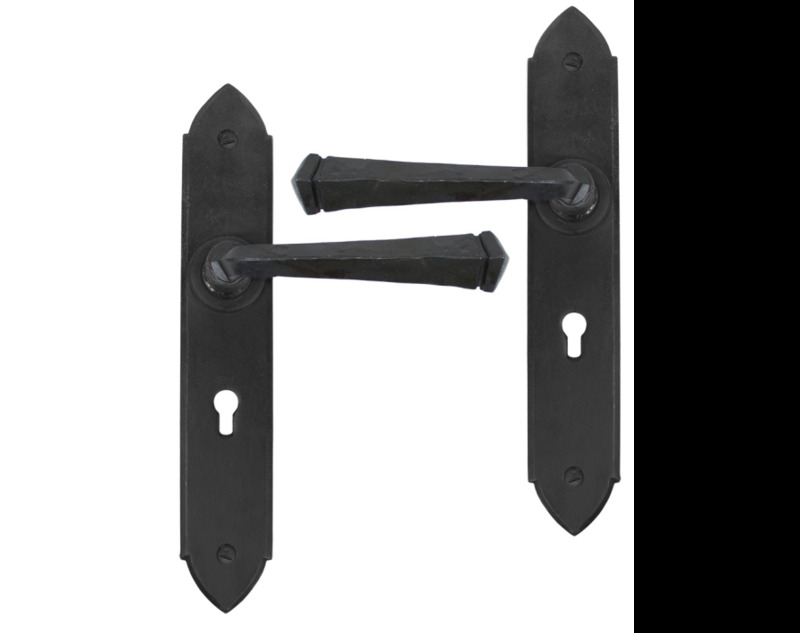 These handles have been updated and are now sprung, therefore they will work with most locks on the market and even older, existing locks in your home. The handles come complete with both traditional screws and bolt through fixings to suit your preference. The Gothic lever lock set is part of the blacksmith's range of lever handles that is individually forged in steel on an anvil. Not suitable for external use, please see Handmade Gothic Unsprung Lever Lock Handle Set - Black.